Two actors. Forty-four characters. One hell of a ride. Captain Morgan is a smash hit, ‘glorious’, comedy play for the family (aimed at children 8 years + and adults), touring its swashbuckling adventures to Shilbottle in partnership with Highlights Rural Touring Scheme. 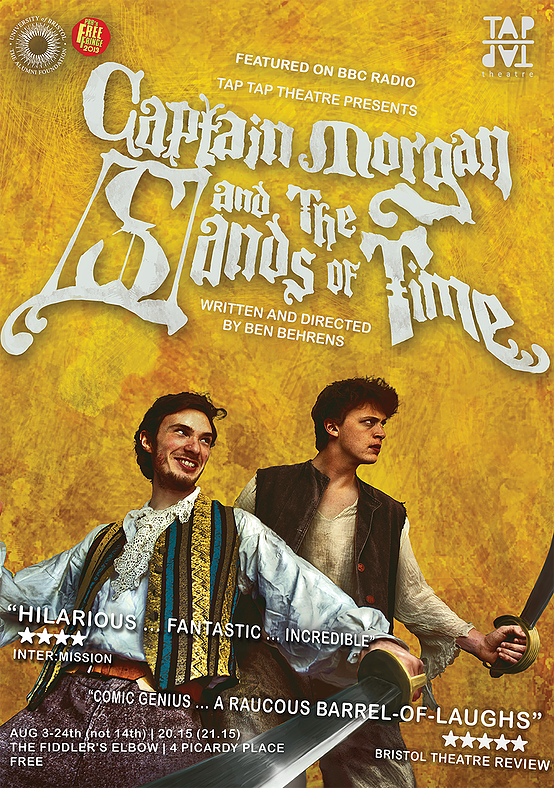 Captain Morgan and First Mate Hammond quest for the secrets of time-travel in a rip-roaring adventure comedy. All the monsters, sword fights and shivered timbers you would expect from a Hollywood blockbuster, delivered by two actors and one multi-instrumentalist. Using nothing but their bodies to conjure objects and set, Morgan and Hammond must slay monsters, battle sea gods and outwit the dastardly privateer Renshaw to claim the ultimate prize – the Sands of Time. 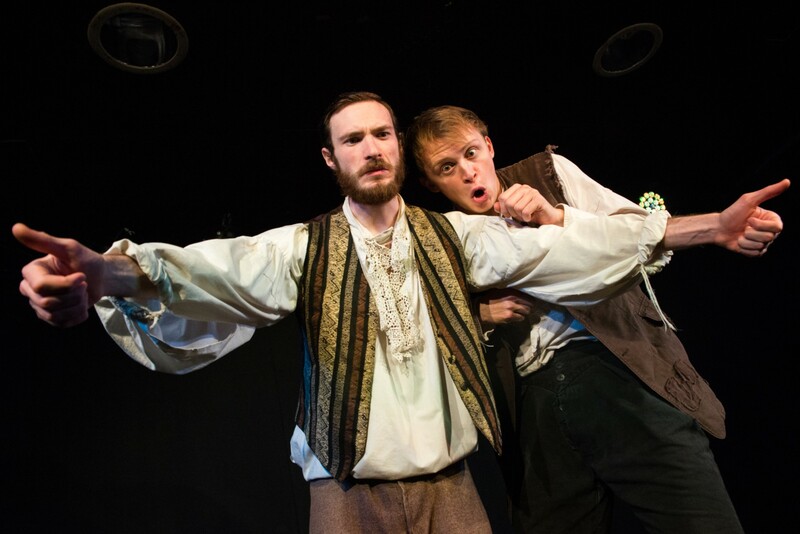 Funny and clever, the show is a Pirates of the Caribbean-esque, masterpiece of imagination awash with madcap antics, time travel and maritime mayhem. It is brilliantly acted by Joe Newton and Ed Richards who create the entire cast of crewmen, monsters and enemies and is performed to live music on fiddle and accordion by Dave Ridley. The show is written and directed by Tap Tap’s Ben Behrens and enjoyed huge success at the Edinburgh Fringe Festival. Tap Tap Theatre have a reputation for creating playful, physical, imaginative theatre for audiences of all ages.